Ed Vitale is a fairly healthy 77 year old who, after 4 + decades as a diabetic, finds himself in need of a kidney transplant. Ed always prided himself on taking good care of his diabetes, watching his diet, checking his blood sugar and taking his insulin but the years have taken a toll. The cost of a transplant can be overwhelming. Ed has the support and love of his family as we forge ahead thru the healthcare system to achieve the goal of hopefully obtaining a kidney. Ed has been approved and is on the transplant list at Crozer-Chester Medical Center in Upland, PA. Ed was also recently evaluated at the University of Pittsburgh Medical Center and at Mayo Clinic in Jacksonville, FL. Since Mayo Clinic has 3 US locations, once approved for their list that would add many additional states increasing his chances of organ procurement quite a bit. Ed grew up in Delaware County, graduated from Eddystone High School and served his country in the Air Force for 4 years. 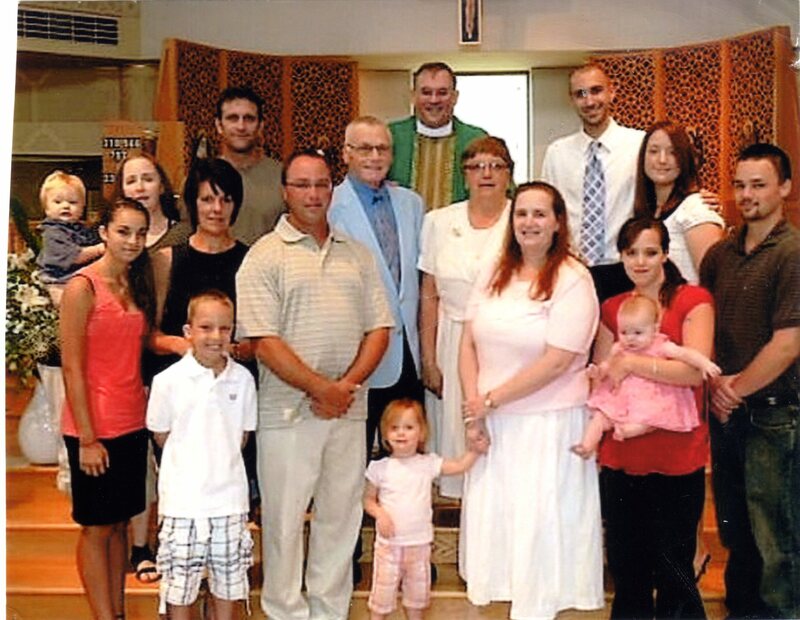 Ed loves life and is a dedicated, loving family man to his wife, 3 children, 8 grandchildren and 2 great granddaughters. Ed worked in the air freight industry for over 30 years providing customer service. 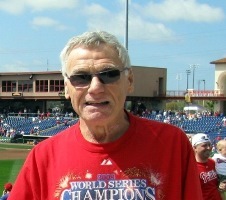 Following retirement he got a part time job working for his favorite baseball team, The Philadelphia Phillies, for whom he is a lifelong fan, as a game day host. He was active at church and enjoyed going to the gym for workouts a few times a week. In March of 2014 Ed’s kidney failure progressed and his doctors determined he needed to start dialysis. While his dialysis is necessary and lifesaving, it has necessitated that Ed give up his job with the Phillies after 12 years and also his gym membership so that he can maintain his dialysis schedule. He is able to continue with his lifetime love of bowling and he belongs to 3 senior bowling leagues. Transplants are lifesaving but financially draining. Even with good insurance, Ed is facing very high expenses including relocation for up to three months to be close to the transplant hospital, caregiver expenses, co-pays for transplant medications of up to $1,200 a month and more. To help with the financial burden of Ed Vitale’s uninsured expenses, a fundraising campaign in his honor has been established with HelpHOPELive, a trusted nonprofit organization that has been providing community-based fundraising guidance to patients and their families for more than 30 years. All donations are tax deductible, are held by HelpHOPELive in the Mid-Atlantic Kidney Transplant Fund, and are administered by HelpHOPELive for transplant-related expenses only. Please, consider a contribution. If we all work together we can make Ed’s prospects for the future much brighter. Thank you for your support. Mayo Clinic in Jacksonville FL. called today to inform Ed he passed all their medical tests and evaluation – they have approved him for their transplant list! So we add Mayo Clinic to the two other transplant lists he is on namely Crozer Hospital in Upland, PA and The University of Pittsburgh medical Center. Next we will try for the list at Mayo Clinic in Rochester, MN. The more lists Ed is on, the better his chances of getting a kidney. We spent 5 days at Mayo clinic from September 28 to October 2. Ed went through all tests ordered by Mayo physicians. We attended educational classes on transplant related subjects of nutrition, transplant donor needs, the transplant process, pharmacy needs, financial advice. We met with the entire transplant team of Medical Director, Transplant surgeon, Infectious Disease physician, nurses, social workers, financial advisors and the pharmacist. Overall it was a very productive week. We were given results of most tests on Thursday before we left and Ed did well – still awaiting some results. The transplant team meets every Tuesday to go over patient applicants and their test results. We will be given a decision in about 2 weeks as to whether Ed will be placed on the Mayo Clinic Transplant list. Thank you one and all for your help. Ed had his annual evaluation for the transplant list at Crozer Hospital today . He was found to be in good acceptable health and so remains on their transplant list . Each transplant program and hospital requires annual certification to remain on their transplant list. This usually requires some blood testing as well as other tests such as EKG, echocardiogram, chest x-ray and possibly CT scans if necessary. So Ed has passed with “flying colors” for this year! We are preparing for our return to Mayo Clinic on September 28th for 5 days of tests and dialysis. Hopefully this will result in Ed being placed on Mayo’s transplant list. Once this is accomplished we can and will request to be placed on each of Mayo’s 3 Clinic site lists in Rochester, MN, Scottsdale, AZ as well as Jacksonville, FL. This will increase our chances to procure a kidney immensley. We received word from University of Pittsburgh Medical Center that Ed has been approved for their transplant list. We will keep you in our thoughts and prayers. I'm glad I saw the note in the bulletin. 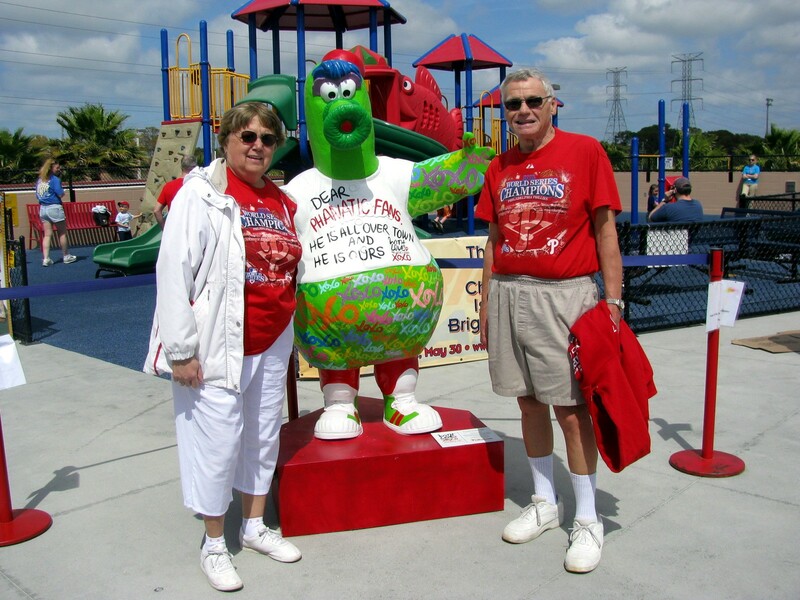 A St. Cornelius choir member and Phillies fan! Wishing you the best. Keeping you in our prayers. God Bless you and your family and help you with your procedure. We will keep you in our prayers. Hope your new kidney becomes available very soon. We have 2 family members who received new kidneys and they are both doing beautifully. Thank God for modern medicine. I have been thinking and of course praying for a way to help the most lovin kind, gentle, thoughtful, man in the world!!!! I am still having troubles to truely exxpress what is in my heart. I cannot bare the thought of such a loving thoughtful man no longer being here because of lack of funds!!!!! That infuriates me to no end!!! I am disabled and he and his family have helped me when ever possible. I would not be alive today if it were not for him and his family. Please be selfless and give whatever you can $1,$5,$10 $25 to a $1million what ever you can afford anything is appriciated esecially prayers for a matching kidney soon!!!!!!!!!!!! Our family loves him so VERY MUCH and much like the movie "RETURN TO ME" family is rallied around but not a match in the bunch unfortuneatly so each blow is a blow to your hope. We reallly need people to consider their willing to donate a kidney. If their doctor says it is ok! This is a HUGE step so please discuss everything with your doctor and family before committing !! I am asking all of this because "ED" IS MY DADDY; I AM DADDY'S FIRST LIL GIRL! I love him so much I reallly cannot imagine life without him "
Thinking of you Ed, I'm glad to help. Ed, You are always in my thoughts and prayers! I'm practicing that "progressive rummy" card game! Watch out, boy! Ed, you and De, are true angels to me...so special! Thinking of Ed and De, always. Love and prayers for you both.